Integrating the ancient wisdom of yoga, Ayurveda, and Traditional Chinese Medicine with naturopathic principles and contemporary plant based nutritional science, Jonathan Glass, M.Ac., C.A.T., presents a practical 28-day program, divided into four phases, designed to initiate and maximize the detoxification and nourishment of your body, mind, and spirit. Copies of Jonathan's book will be available for purchase at the event. 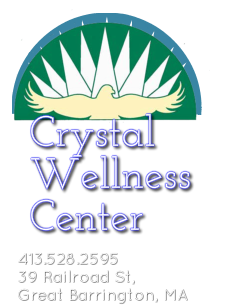 Jonathan Glass, L.Ac., CHT, is a Licensed Master Acupuncturist, Ayurvedic Practitioner, Reconnective Healer, Energy Healer, Certified Hypnotherapist, Herbalist, Muscle Response Tester and Natural Health Educator. He is on the faculty of The Dharma Institute of Yoga and Ayurveda and has served on the faculty of the New England school of Acupuncture. He presently teaches at numerous yoga schools locally and throughout the U.S.
Jonathan has been supporting clients through the Total Life Cleanse for decades. More than another diet or fast, the Total Life Cleanse is a life-changing program of body detoxification, rejuvenation, stress reduction and personal growth.